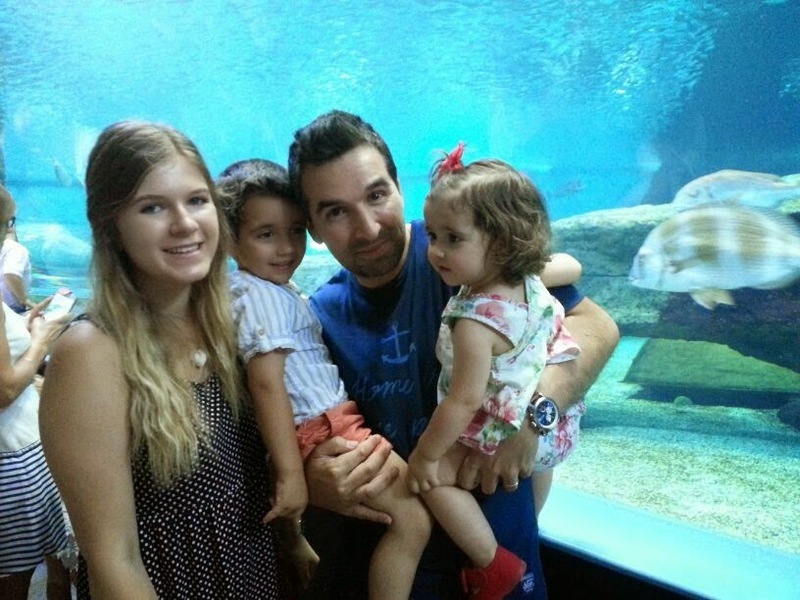 Here’s another post about my personal experience as an au pair. A lot of people are very curious as to what hours an au pair works and, in turn, what she gets paid. I am going to be completely honest here as I don’t see any reason to hide this, but I must say it will most certainly differ from family to family or country to country! 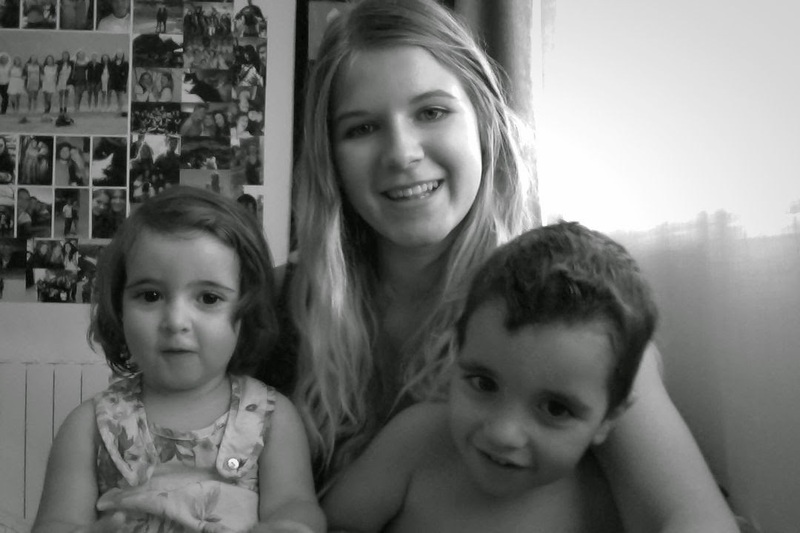 Me and the little monsters. I work 6 days a week, with one day on the weekend off. On weekdays during the school term, I worked from around 3pm until 8:30pm - 9:30pm. I say the end time very vaguely as it was never really a set time, it more depended on how long the nightly routine took on that particular day. For example, one day we might have gone out as a family in the afternoon/evening to visit friends or to a park or something, and gotten home later than usual. This meant that the routine of dinner, shower time, pajamas and story time would all be pushed back, therefore making me finish later. Me, Pablo, Carlos and Marta at the aquarium in Roquetas de Mar. 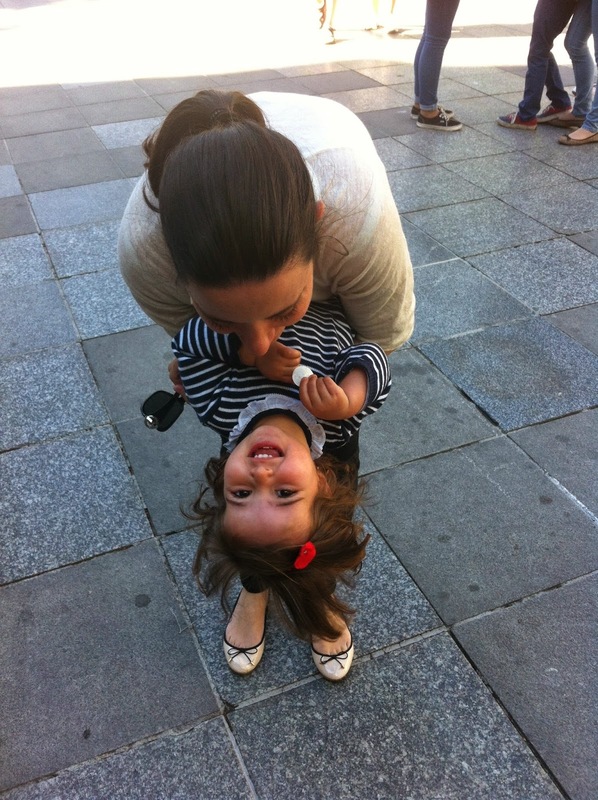 Yasmina and Marta in the centre of Granada. As we’re currently living on the coast, my working hours have changed around a bit. I now work in the mornings (which I actually prefer, as it gives you the rest of the day free), from 10am – 3pm. In the weekend, I basically go along with whatever the family has planned for the day. 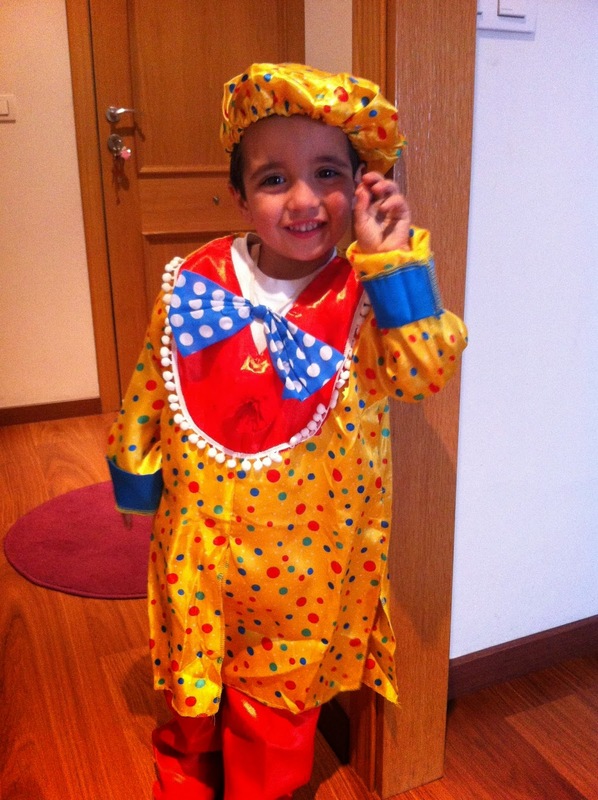 Pablo dressed up as a clown for a "party day" at his school. For all of this, I am paid €60 per week, plus board and keep. Once again, the pay varies depending on the country you’re in and the family you’re with. There is a handy list of what you "should" be getting paid on the website “Au Pair World”, which you can check out here. Friends of Yasmina and Carlos', Yasmina and me out after a concert of Roko. In regards to the amount, my opinion is that it’s easily livable, but don’t expect to save too much money. It all depends on how often you go out and do things of course, the savings of a person that eats out and/or parties every weekend is very different than that of a person that stays home or is more money conscious. In saying this, I am very glad I came with savings as it enabled me to be able to travel a bit to Germany and England. All in all, I think au pairing is a fantastic way to travel and gain a first-hand experience of a different place without spending a fortune. 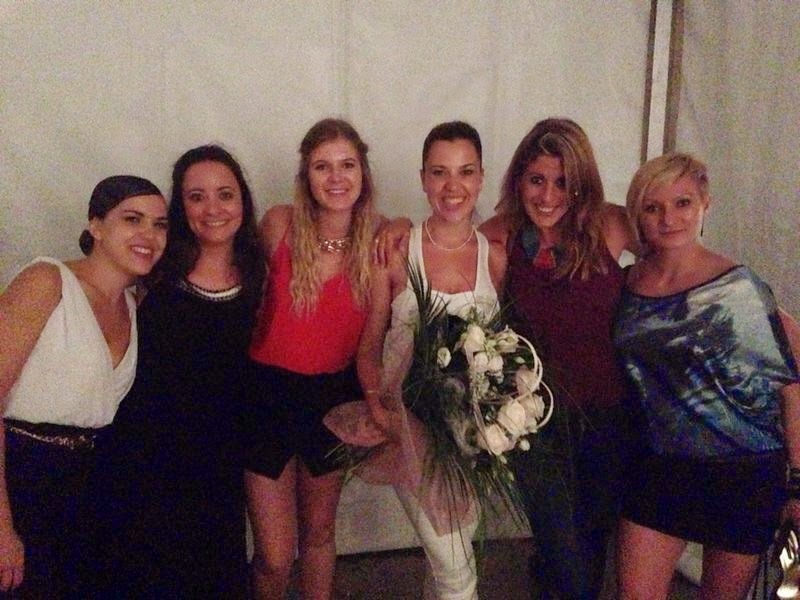 AuPairCare experience is the easiest way for an au pair for a host family without an agency. AuPairCare experience, award-winning US au pair agency with affordable childcare live-and au pair placements. Find your partner today! mind and argue if they want to or agree.